Good morning everyone! Sketch N Scrap has a brand new card sketch, designed by the very talented Heather Hall. Instead of Halloween, I made a “fall” card, using pumpkins/leaves and papers all by PhotoPlay (Falling Leaves collection). I added the banner to go with the ACOT Mood Board Challenge. Hope you check out the rest of the Sketch N Scrap DT’s fabulous creations and play along! Great card, I love the colour palette! LOVE LOVE LOVE this Brandy! 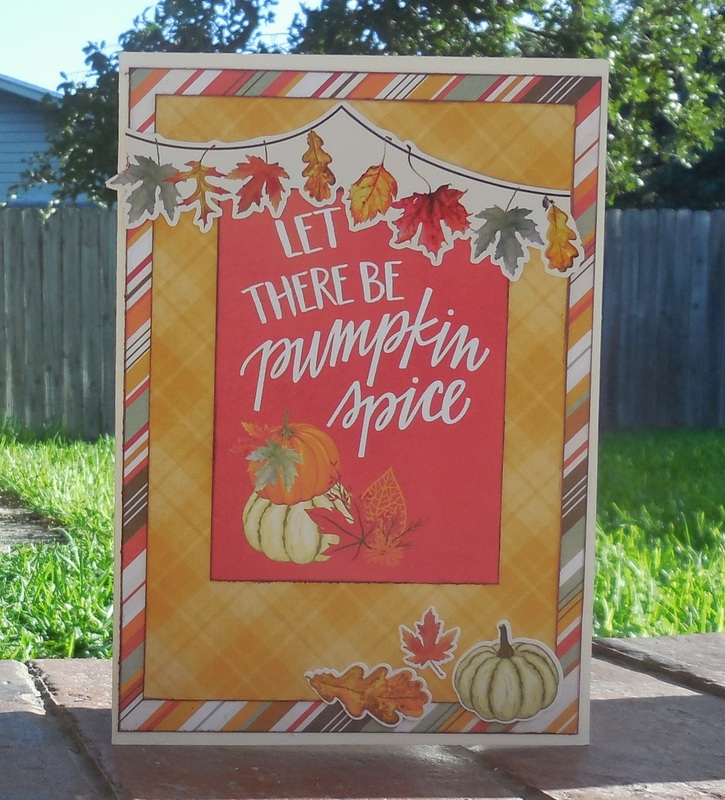 Pumpkin spice is a fav of mine and this card is just adorable! Love the card – perfect fall-themed card!